Although we would never try to discourage you from picking up your favorite copy of local magazines to scour the activity and events sections, or reading the brilliantly written and very relevant articles by our local publishers, but by looking at the list below, you can see how it would be almost impossible to get a fair look at EVERYTHING there is to do around town. Not only as scouts can we strecth the boundaries of helping families find more places you can go at low or no cost, we can complie it all and emphasize them in an action packed two hour family friendly radio show for all to enjoy. For businesses, we have created a very low cost opportunity for you to get the word out about your events. We can keep the prices low because this is what we love to do! This is a way to help keep money circulating in our communites, and due to the radio platform, allow us to visit surrounding town events while at the same time allow surrounding town guests to learn about our local events and visit the tri-city area as well! Its a win win for everybody! 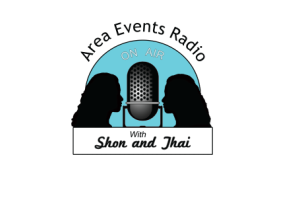 Disclaimer** Area events Radio in no way claims to ever be the original finder or publisher of events mentioned on any of our shows, on our calendars, facebook page, posted on our websites, or the websites and bullitens, of our affiliates. The only information that will be orginal will be stated by the event coordinator, representative, or agent, live on air. If the name of your company is on this site and you wish for us to remove it please contact us. Our intent is to increase exposure to local magazines, functions, websites, or similar, as well as the events therein.